The White House has announced that the CIA will never again set up a fake vaccination program as part of its espionage efforts, following the lethal response to the strategy it employed before raiding Osama bin Laden’s compound in 2011. The promise was made in a letter to the deans of 12 public health schools – who have criticized the Obama administration for using a vaccination effort as a cover for reconnaissance – and was written by the president’s top counterterrorism and homeland security advisor, Lisa Monaco. “I wanted to inform you that the Director of the Central Intelligence Agency (CIA) directed in August 2013 that the agency make no operational use of vaccination programs, which includes vaccination workers,”Monaco wrote to the deans, according to the letter obtained by Yahoo News. According to CIA spokesman Todd Ebitz, agency director John Brennan made the decision over public health concerns. 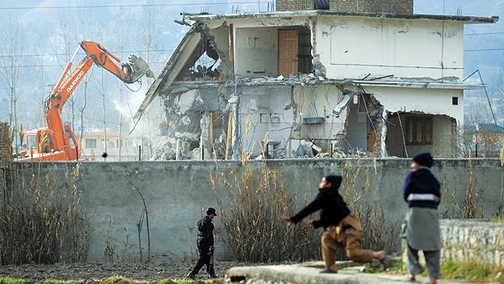 Before the raid that ended with the death of bin Laden, US officials were able to confirm that some of the Al-Qaeda leaders’ family was in the Abbottabad compound by orchestrating a hepatitis B vaccination campaign in the area. When DNA matches were found between some of the family’s children and bin Laden’s sister, who died previously in Boston, the US rationalized that bin Laden’s location had been identified. In the aftermath of these revelations, many families decided not to participate in any more immunization drives, leaving numerous individuals and children at risk of disease. 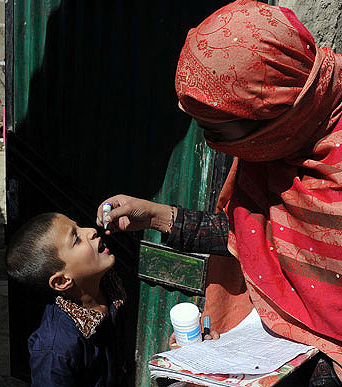 Although some groups, such as the Taliban, were outspoken opponents of vaccination even before the bin Laden raid, their claims that the health campaigns were secretly a cover for espionage or part of a Western conspiracy to sterilize Muslim children gained traction.